Recently, we ran into Edo Cohen, CEO of Los Angeles-based Seevolution (www.seevolution.com), a firm developing web site heat map tracking software. We talked with Edo about what his firm is up to. What is Seevolution all about? 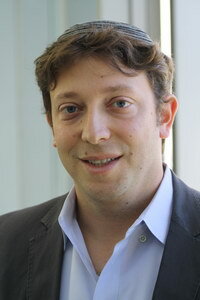 Edo Cohen: Seevolution is a real time analytics and heat map company for web sites and web applications. It will show you in real time, live, what people are clicking on, what people are looking at, and what they are paying attention to, and how far down a web site people are scrolling. So, if you have a website which changes content regularly, or have products on the site, you can quickly and easily see what people are paying attention to and make the appropriate changes. Edo Cohen: The product has been available for five months. It's free to use, and takes about two minutes to set up. Who would find it most useful? Edo Cohen: Anyone with a web site. Edo Cohen: Prior to Seevolution, I was the co-founder of a company called Flipswap, which does enterprise level trading programs for companies that sell electronic devices. It was a software company that facilitates the buying and selling of used electronics. Why did you decide to start Seevolution? Edo Cohen: We wanted to simplify web analytics, and make it easier for people to see what they can change about their site without having to dig through too many numbers. What's the business model behind the site--you mentioned that it's free? Edo Cohen: We're also offering some enterprise and premium services. What do think people learn most using your service? Edo Cohen: You see what an enormous difference it makes to move things on inch up, two inches to the side. Literally, a product that sits on one part of the page and moving an inch or two up or down, you can get 30 percent more eyeballs on it. It's very important to see. Edo Cohen: We're trying to grow our user base and get as many people using it as possible.